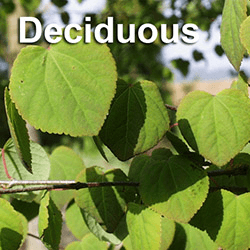 One of the best times to plant a deciduous tree is during the Winter when it is dormant. The dormancy cycle starts in the Fall, when the tree begins to perceive the changes in temperature and light. The process begins with the reduction of metabolic processes inside the tree’s trunk. A tree’s trunk is attached to, and supported by, its roots. 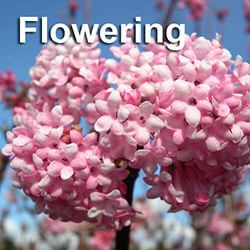 In turn, the trunk supports the branches and foliage, which gives the tree its overall shape. The trunk is made up of several different layers. The outermost layer is bark, dead tissue that protects the tree from the environment. The live tissues inside the trunk, called xylem, store starch in cells called symplast. Xylem is also as a conduit for transporting water and nutrients up to the leaves. The tree’s inner bark, phloem, distributes the glucose (sugar) produced by photosynthesis. Phloem and xylem are part of a tree’s cambium, the part of the trunk that produces new cells and tissue. As the tree’s metabolism decelerates, the tree will drop its leaves, slow its root growth and minimize its water consumption. This shutting down period makes it easier for deciduous trees to survive heavy rains, colder weather and snow. 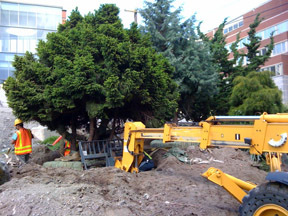 Moving a tree when it is dormant reduces the risk of transplanting shock, which can hamper its health and vitality. Simply put, the tree does not realize it is being moved. It’s also a great time to pick trees because the trunk structure is more visible. One of the best trees to plant during winter is the Japanese Maple, a species native to Japan, China, North Korea, South Korea, and parts of Russia and Mongolia. 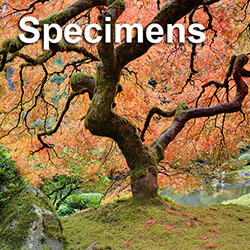 There are hundreds of Japanese Maple cultivars (plants grouped together based on similar characteristics) throughout the world. 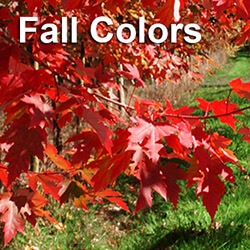 In the Fall, the tree’s delicate leaves turn into dazzling colors of bright yellow, gold, orange, red and crimson. As the dormancy progresses, the Japanese Maple’s leaves drop to the ground, and the tree’s wonderfully structured and colorful trunk becomes more visible. The white trunk and branch structure of a Jacquemontii Birch is also more noticeable during winter months. “Birch” is an old Germanic word that means “bright,” “white” and “to shine.” These deciduous trees can grow up to 40’ tall and 20’ feet wide, with leaves that turn yellow before dropping. The bark of the birch can be easily peeled away in long strips and has a paper-like quality. 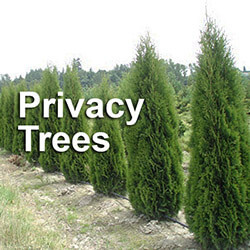 Consult a transplanting specialist if you are considering purchasing trees this winter. 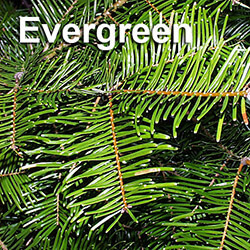 Advice from a knowledgeable professional will ensure you choose the right trees for your landscape and can help make the planting process easier.